Sir Malcolm Arnold was a prolific composer of music in many genres. Over five decades his output included concertos, ballet music, dance suites, overtures and nine symphonies. He was also at home composing for the film studio, his sweeping score for David Lean’s 1957 feature film, The Bridge on the River Kwai, being perhaps his best known film soundtrack. It won him an Oscar. 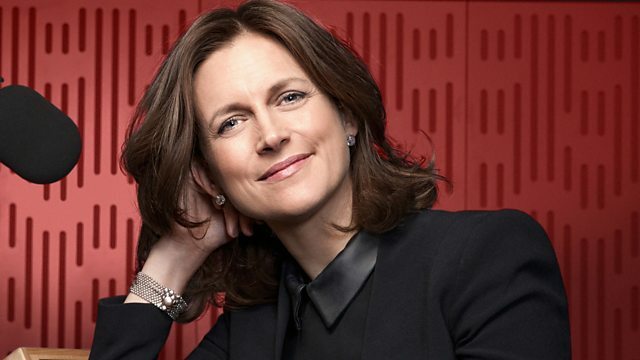 Here Katie Derham presents the BBC Concert Orchestra performing The Bridge on the River Kwai in full from the Watford Colosseum with conductor Christopher Seaman. Before the performance, Katie speaks to Christopher and to several members of the orchestra to learn more about the composer and the symphonic qualities he brought to the score. Understanding the instruments of the orchestra as well as Arnold did makes his music extremely satisfying to play. Katie discovers how Arnold managed to create such an iconic soundtrack in only ten days, and composer Debbie Wiseman, who herself composes prolifically for cinema, uses scenes from The Bridge on the River Kwai to demonstrate how the music is interwoven with the rest of the film’s soundtrack. We see how Arnold’s understanding of the orchestra allowed him to use the right instruments in the right registers to complement to action on screen. Katie also learns the fascinating story of Arnold’s own life - a pacifist who shot himself in the foot to get medically discharged during World War II, and a diagnosed schizophrenic who suffered with mental illness and alcoholism throughout his life. We see how he nonetheless remained an outgoing, engaging and well-loved figure, before hearing his Bridge on the River Kwai suite performed in full.